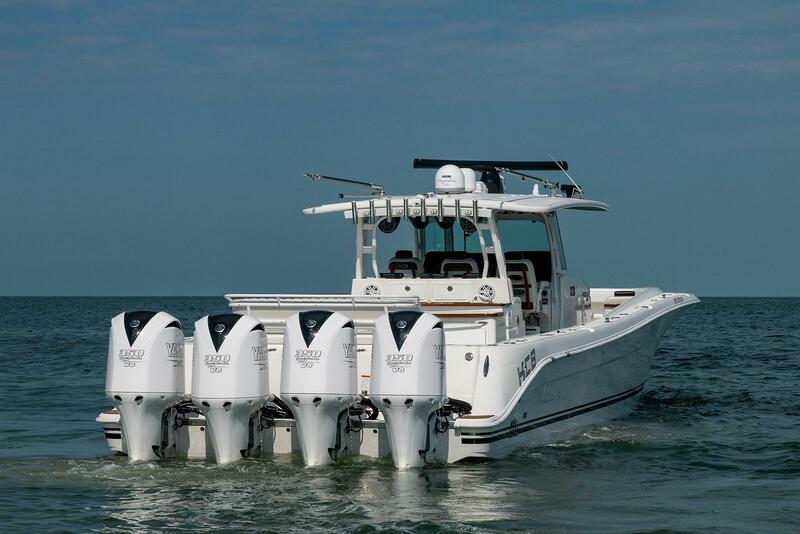 The HCB53 is the ultimate angling correct fishing machine loaded with rod holders, dual pressurized baitwells, pre-rigged for electric deep drop rods, with a massive rigging station, tons of tackle storage and fish boxes so large you are likely over your limit if you fill them. 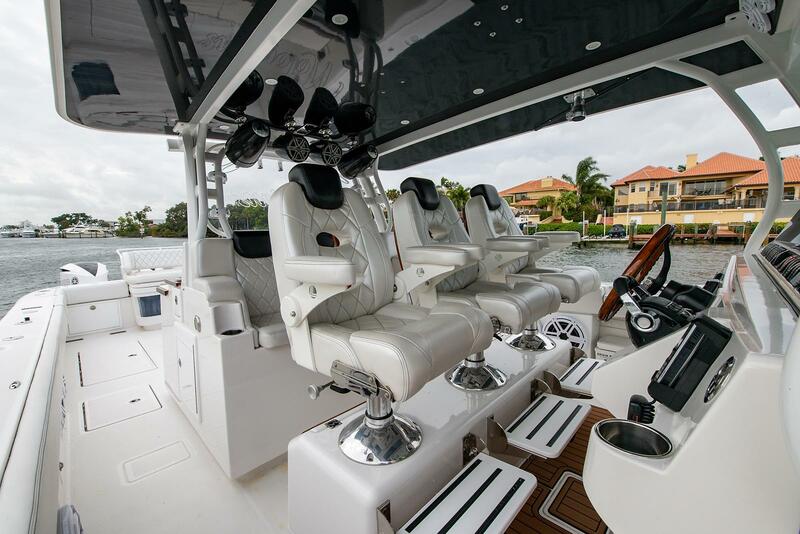 While fishing reigns, comfort abounds. 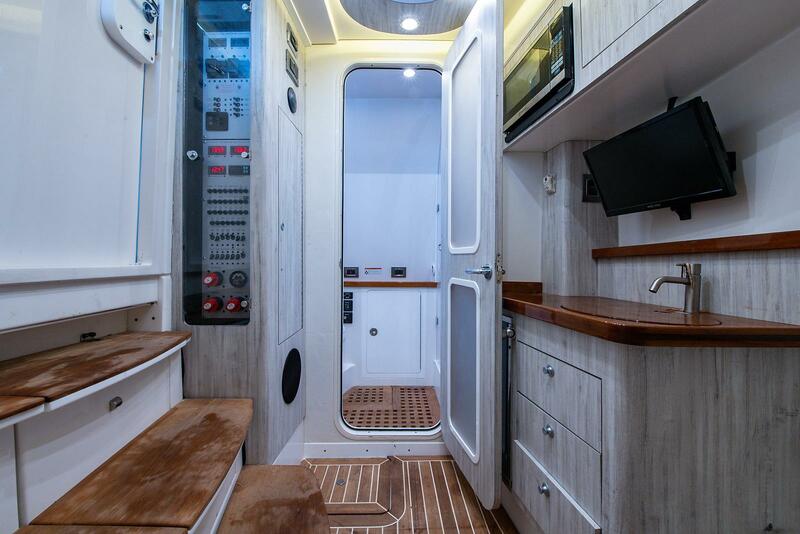 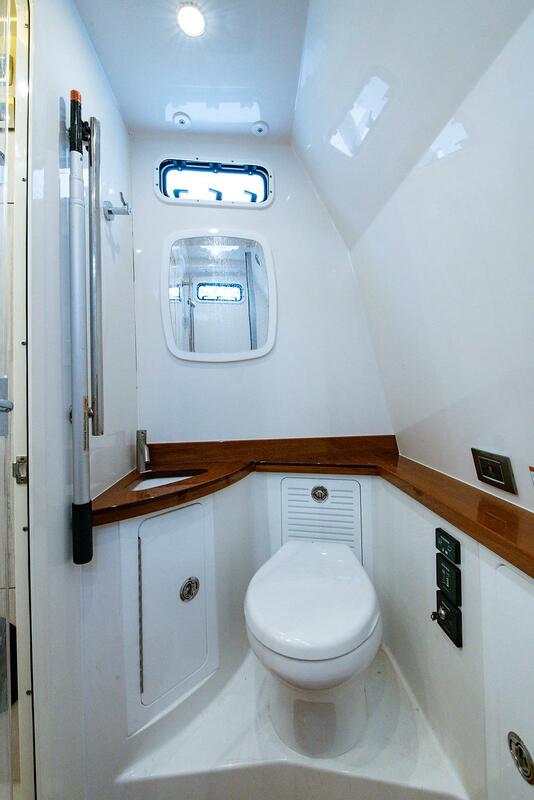 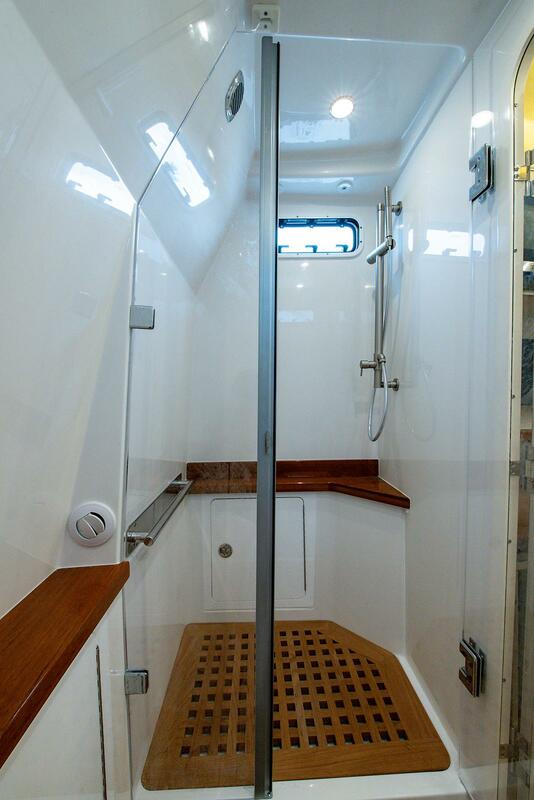 Under the console is a surprisingly spacious cabin with air-conditioning, refrigerator, microwave, seating, separate head with shower and a queen size berth. 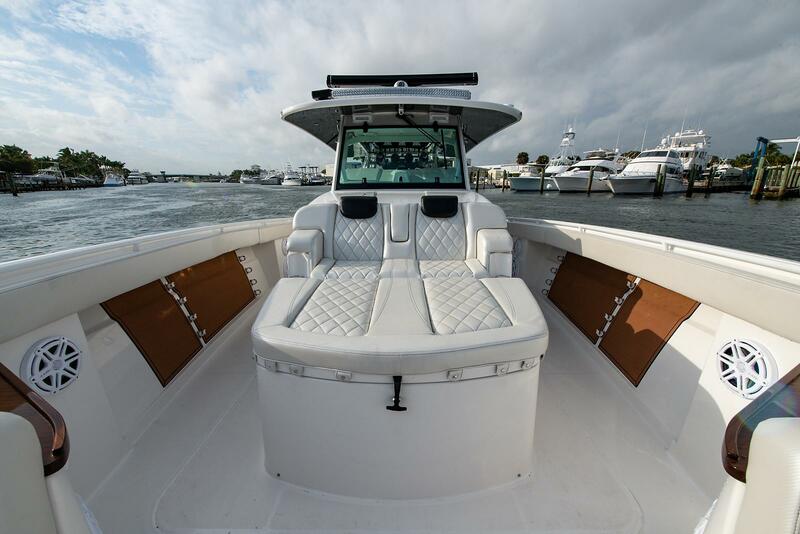 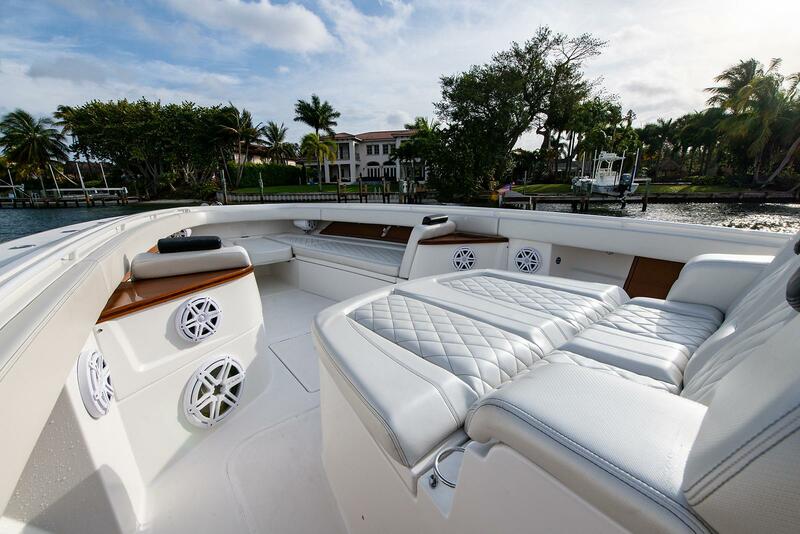 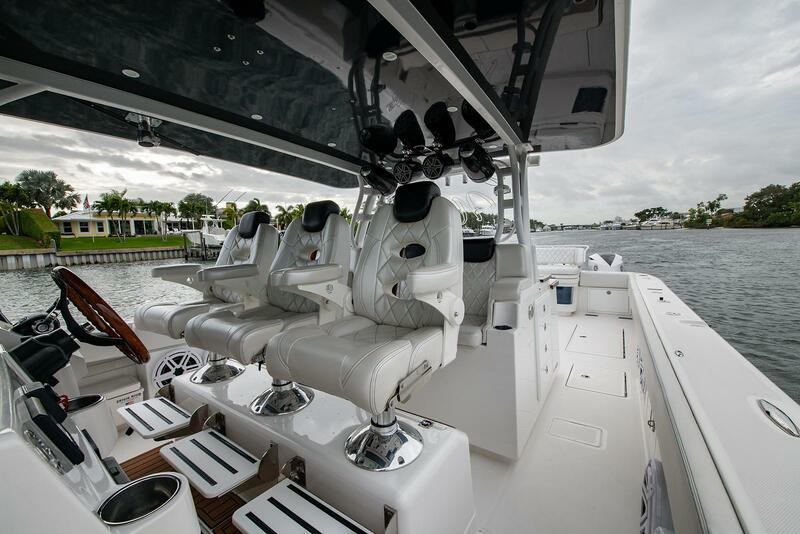 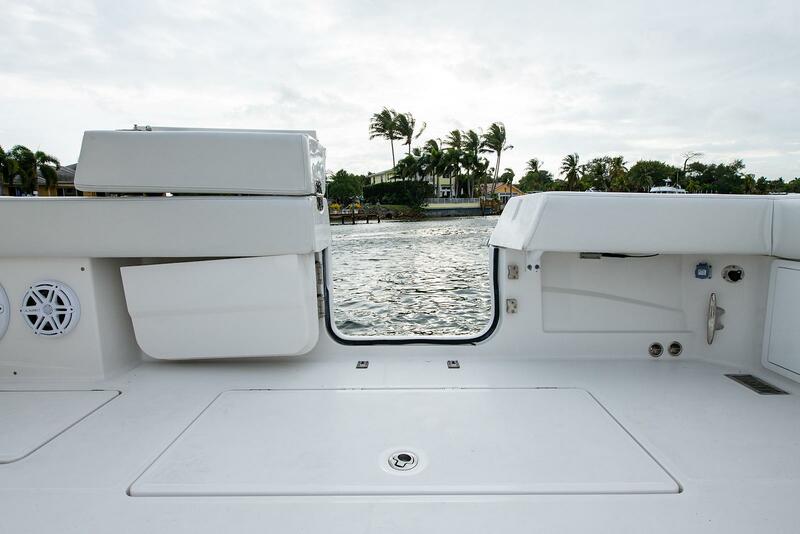 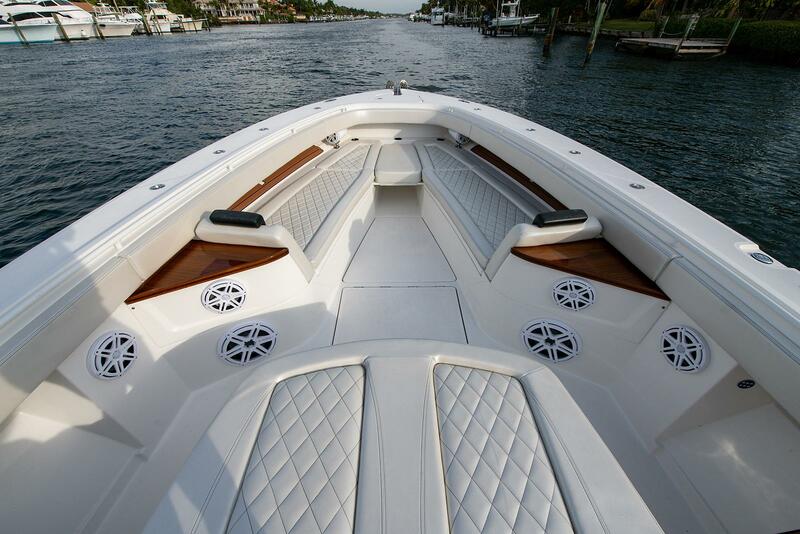 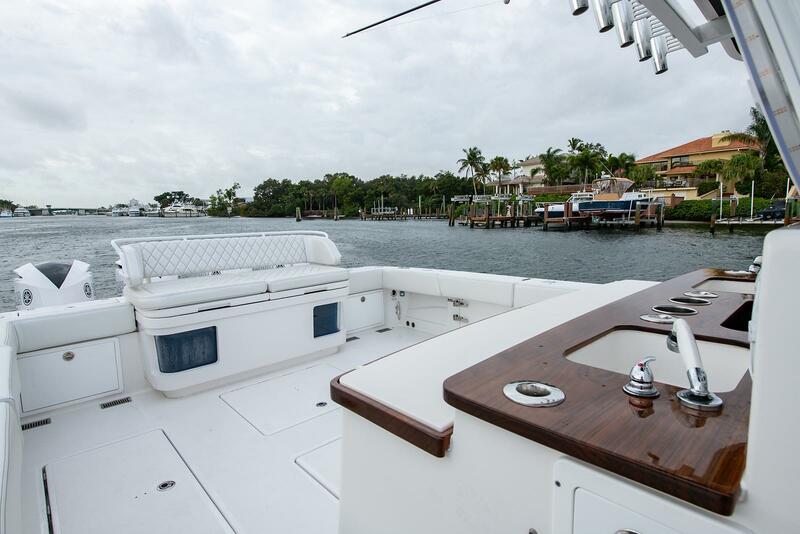 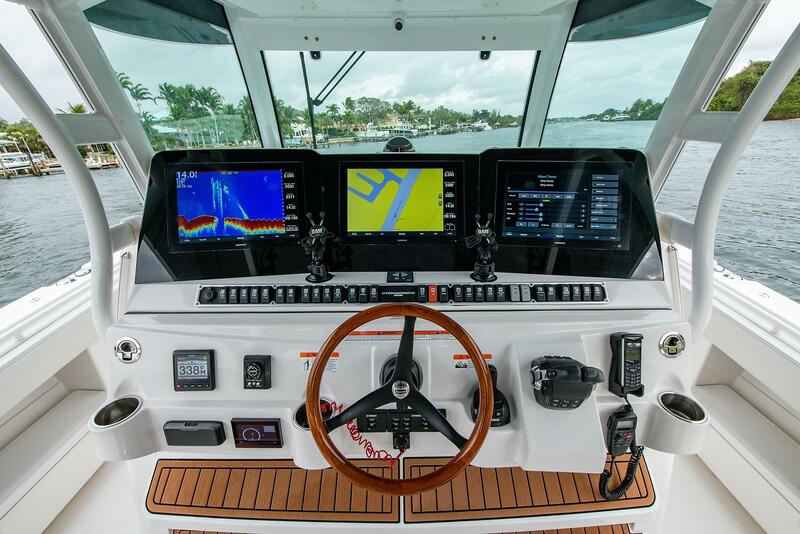 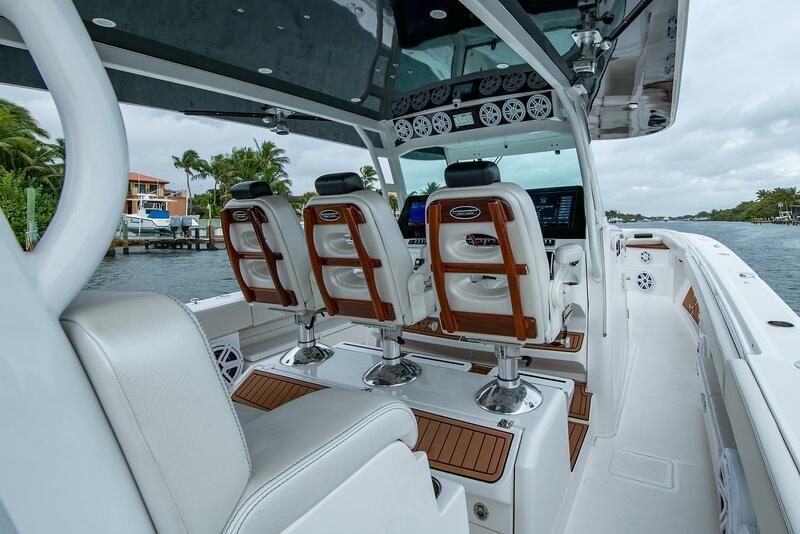 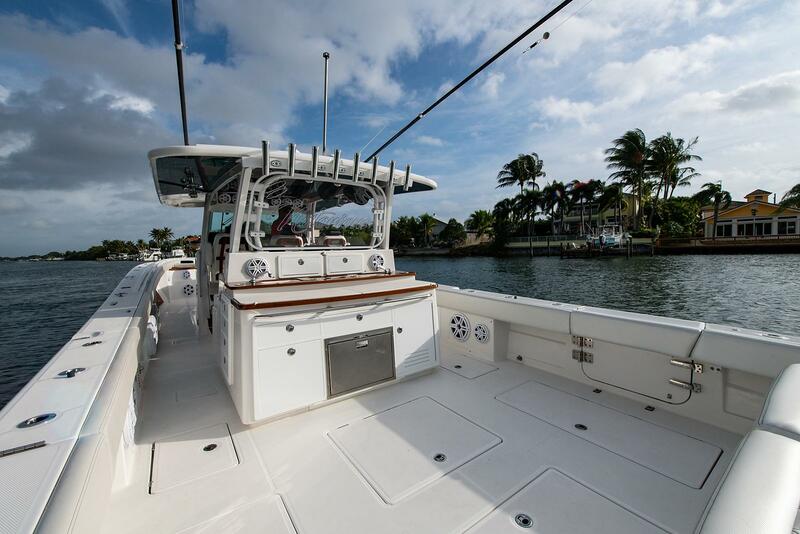 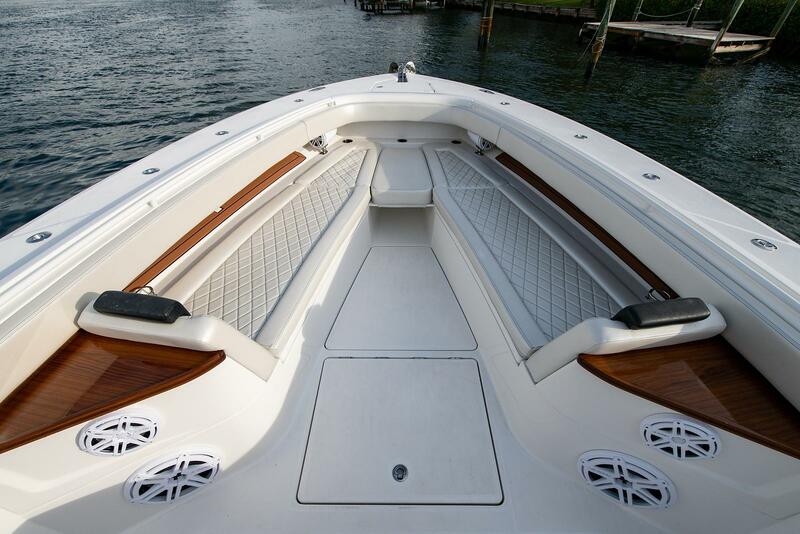 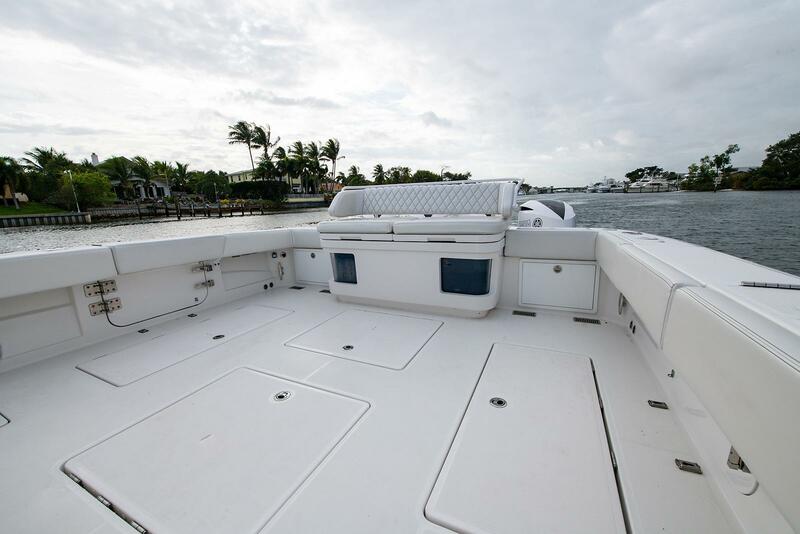 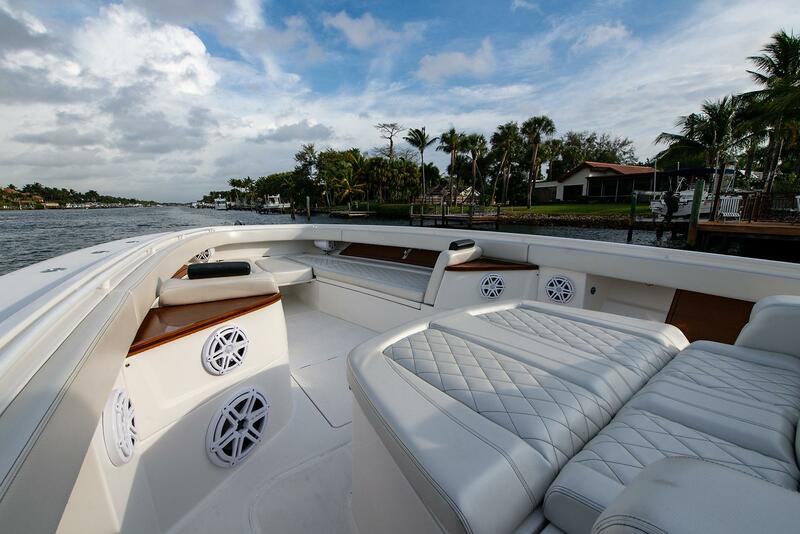 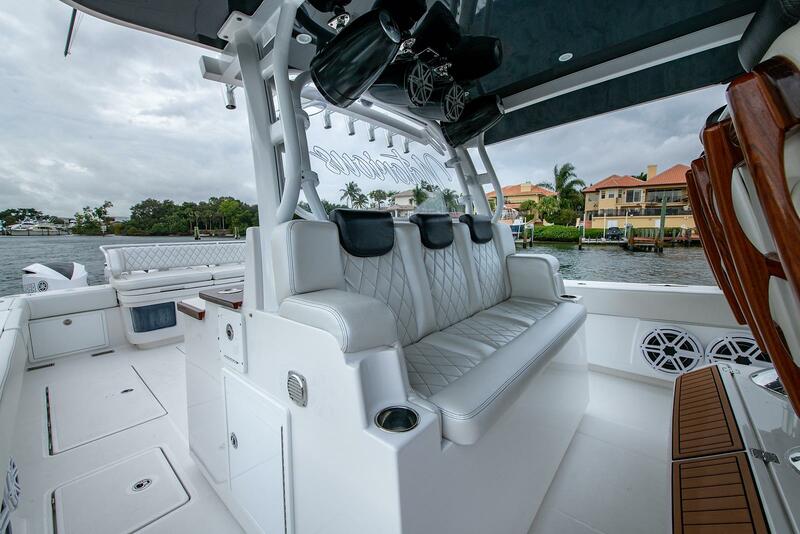 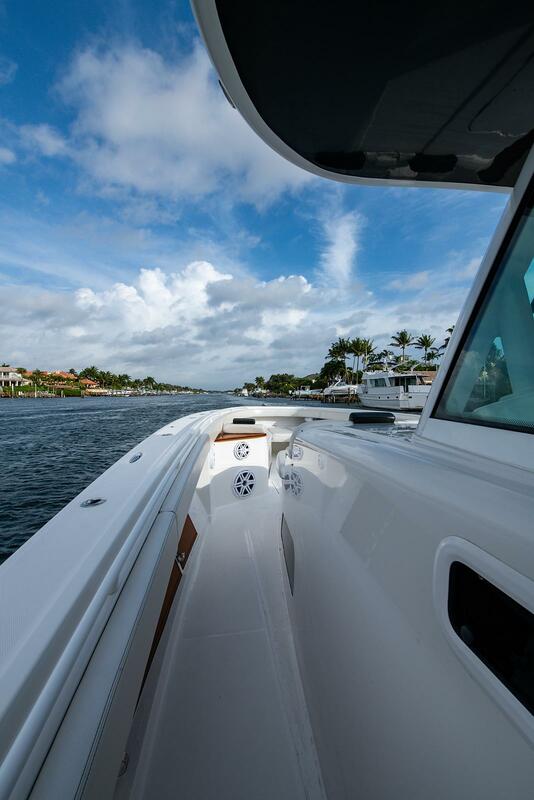 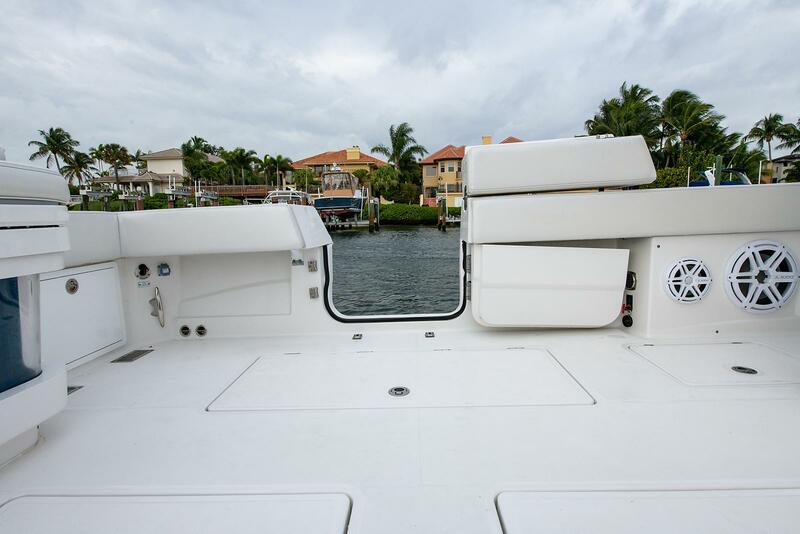 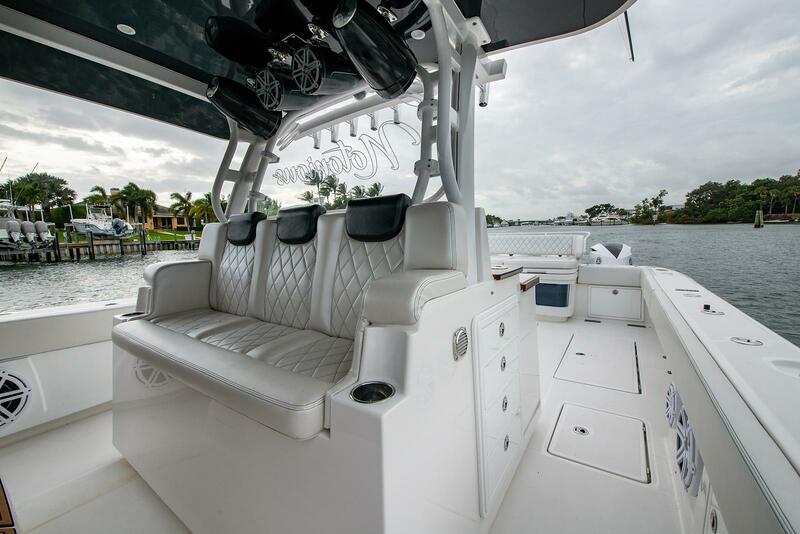 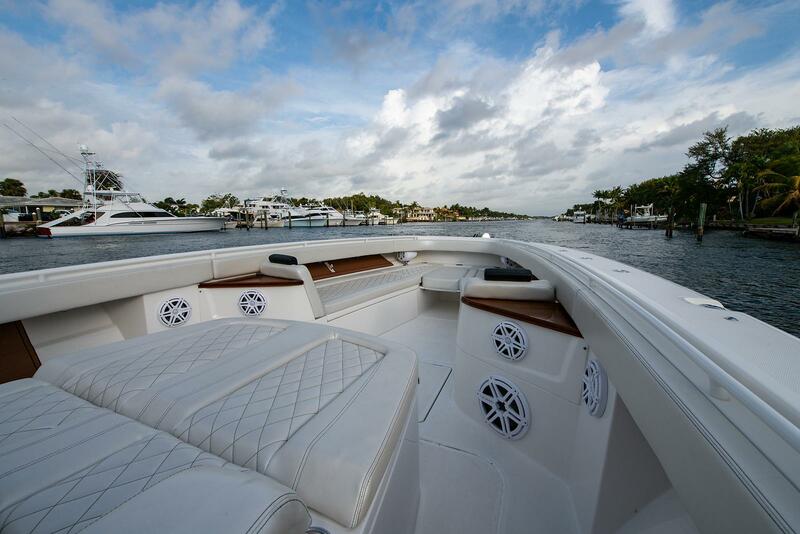 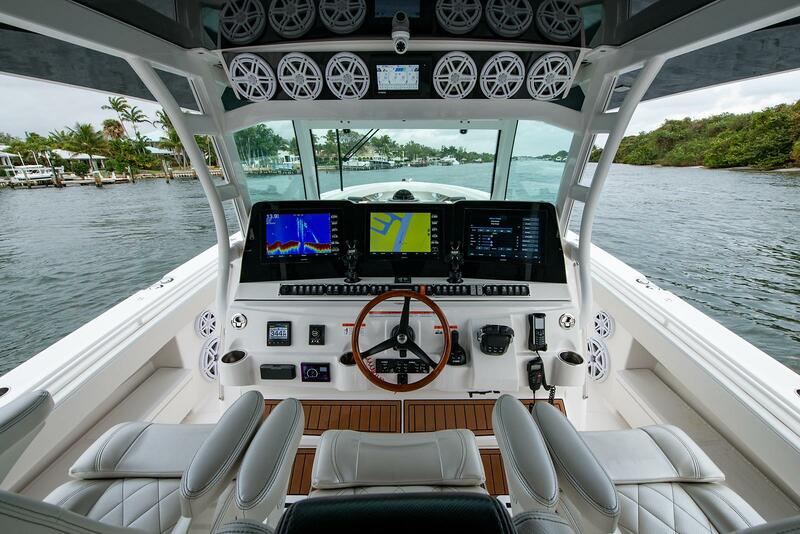 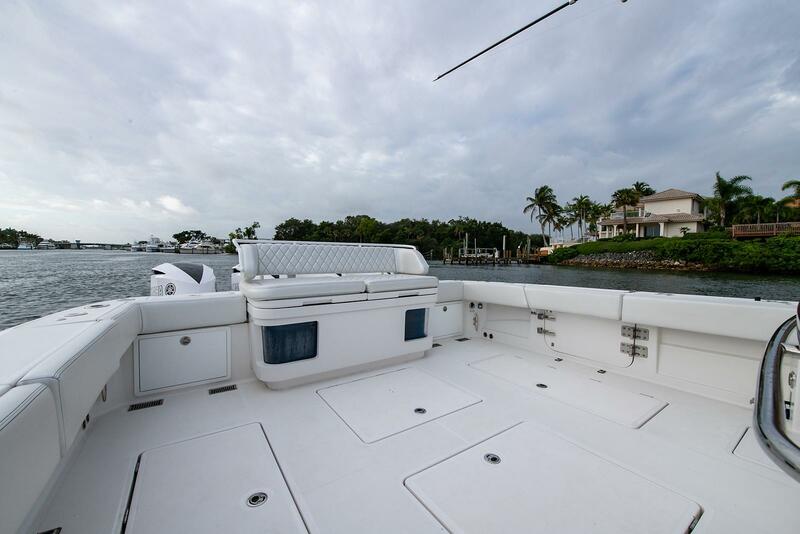 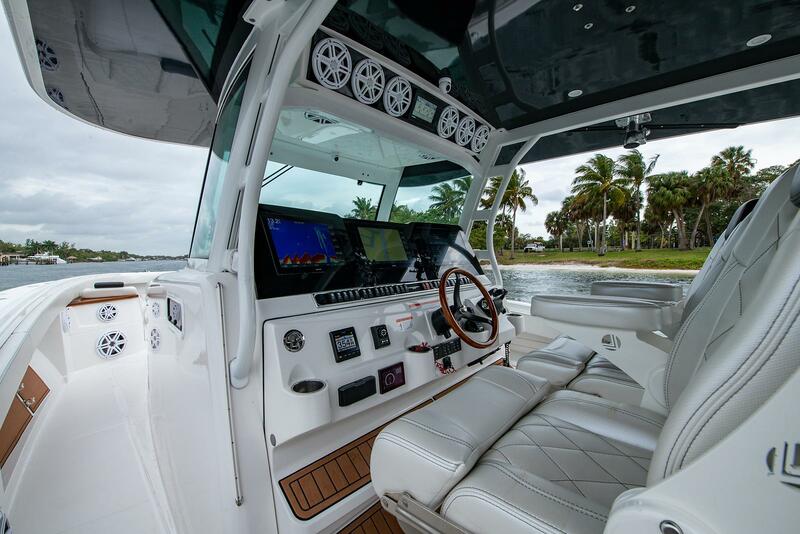 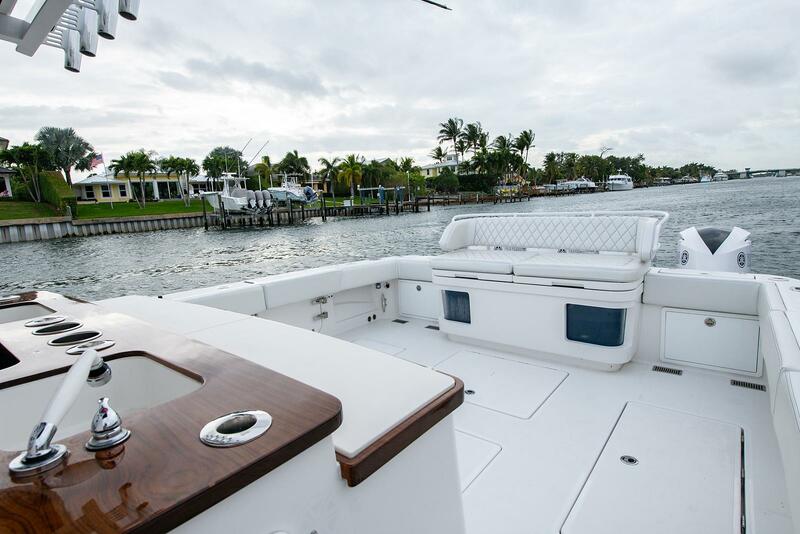 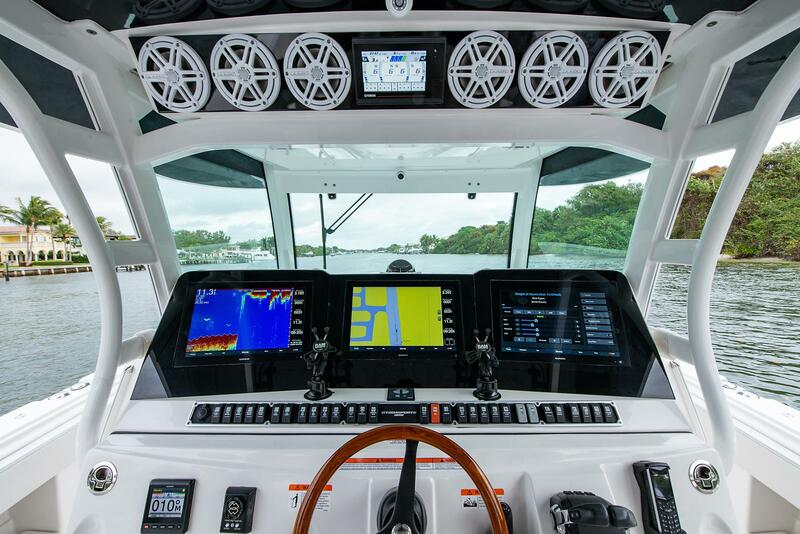 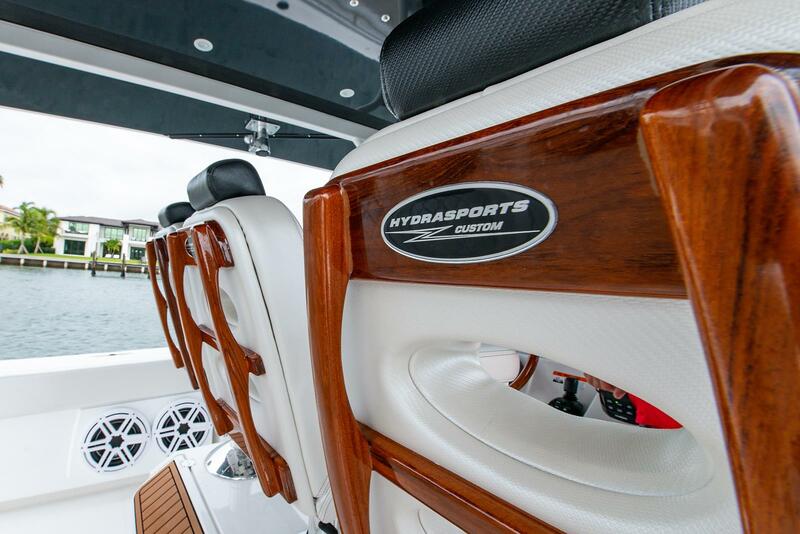 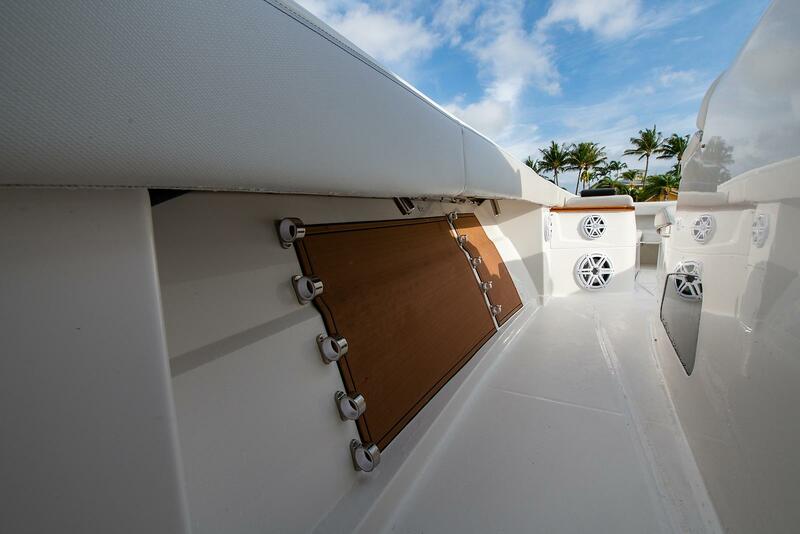 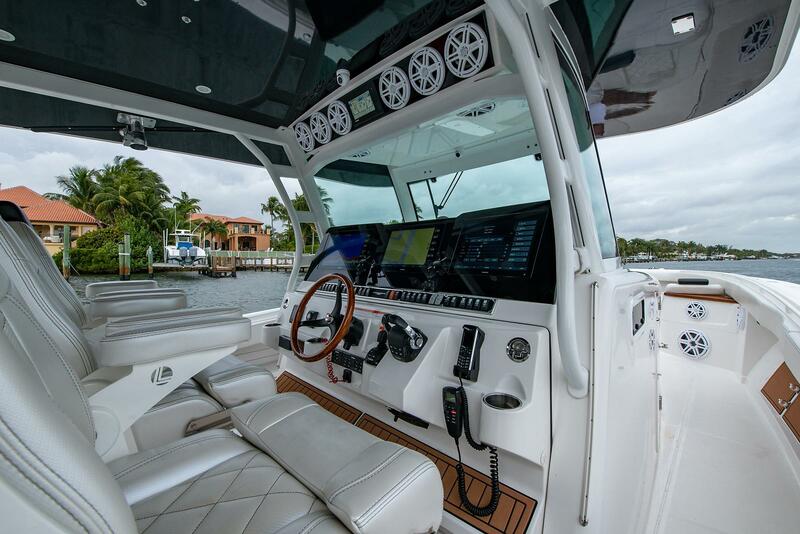 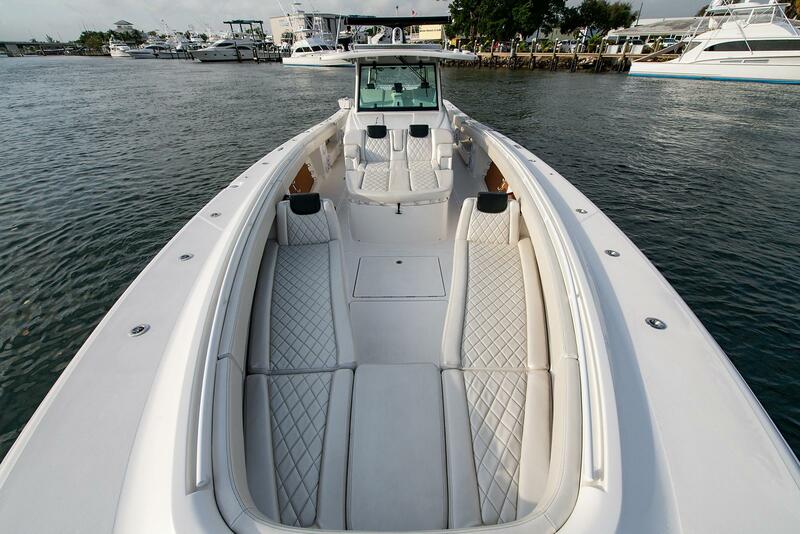 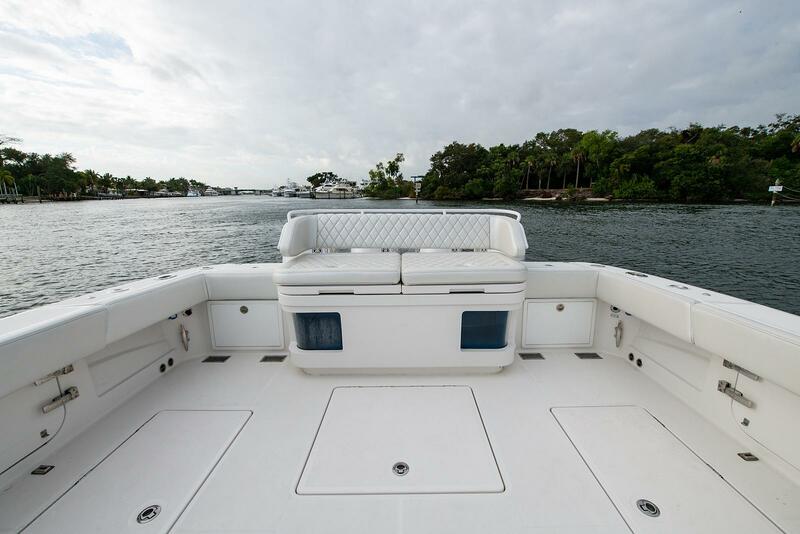 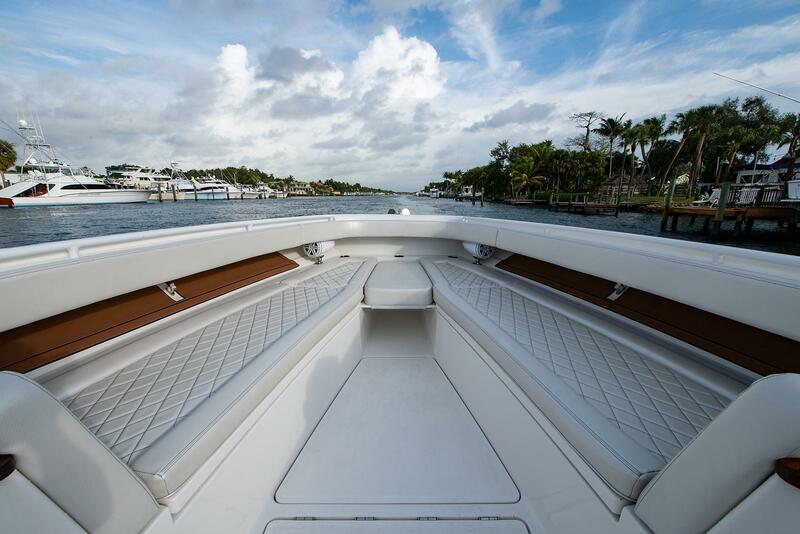 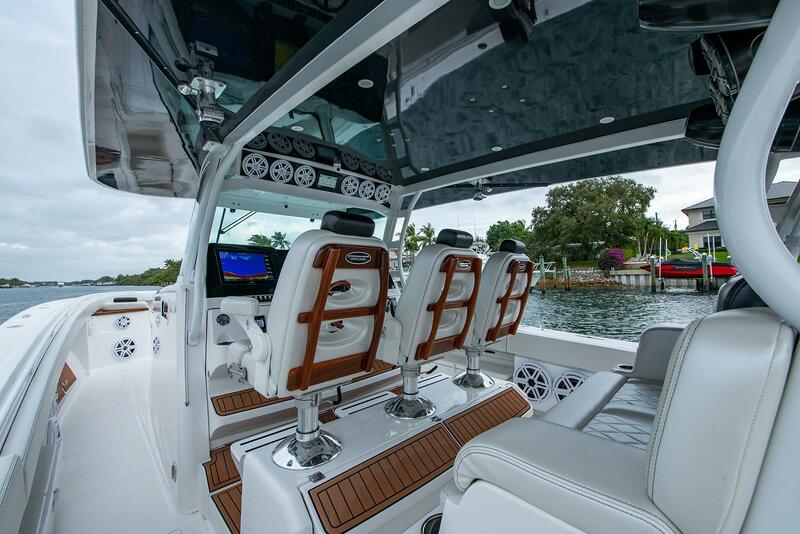 Luxurious and puncture-proof carbon fiber upholstery is customized to match the boat’s hull and is utilized for all seating and bolsters. 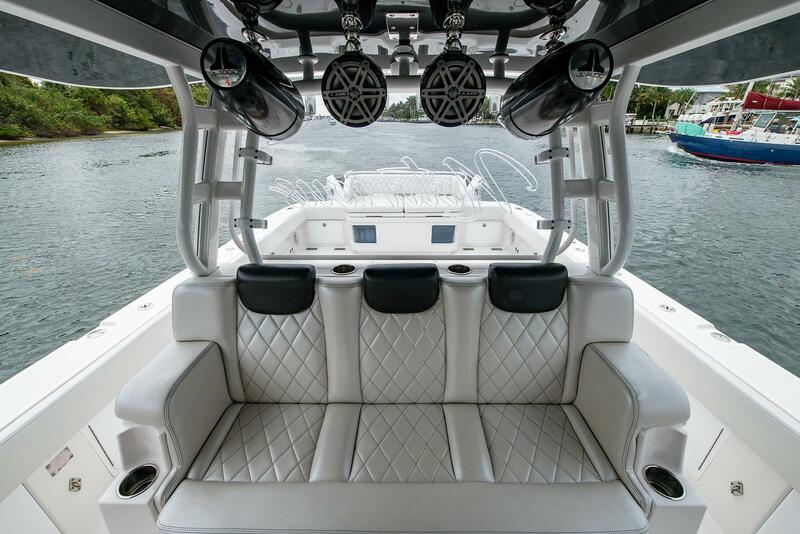 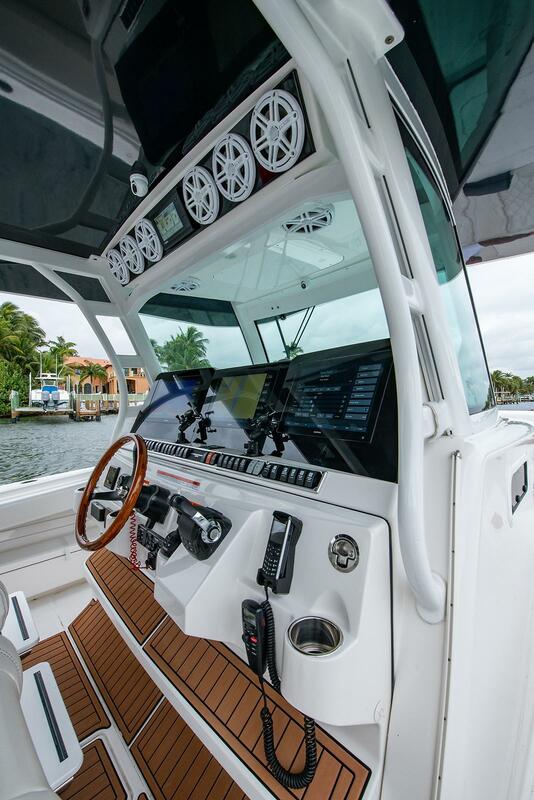 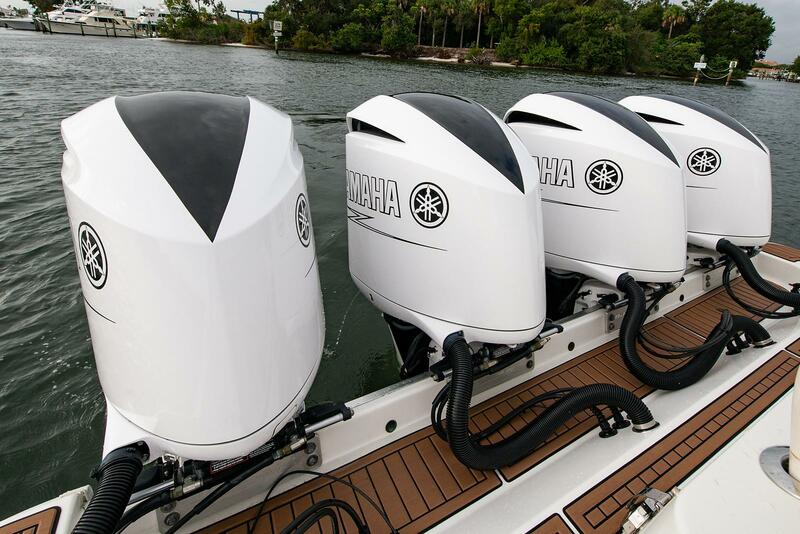 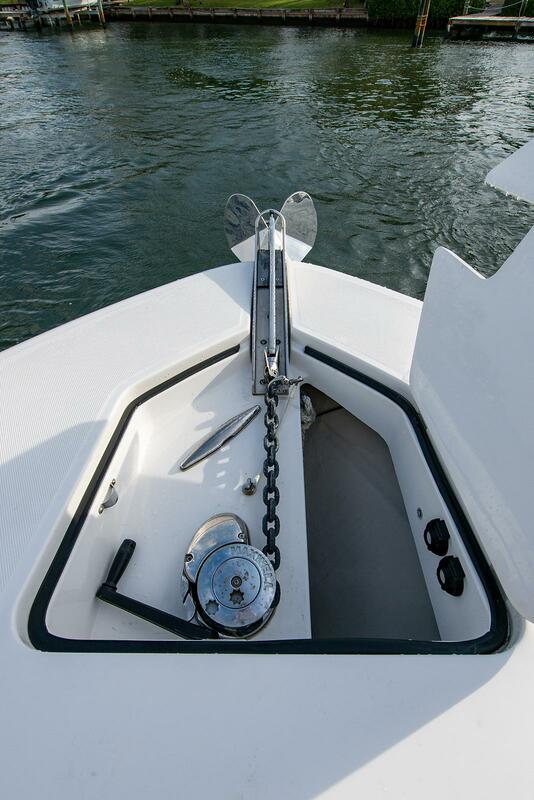 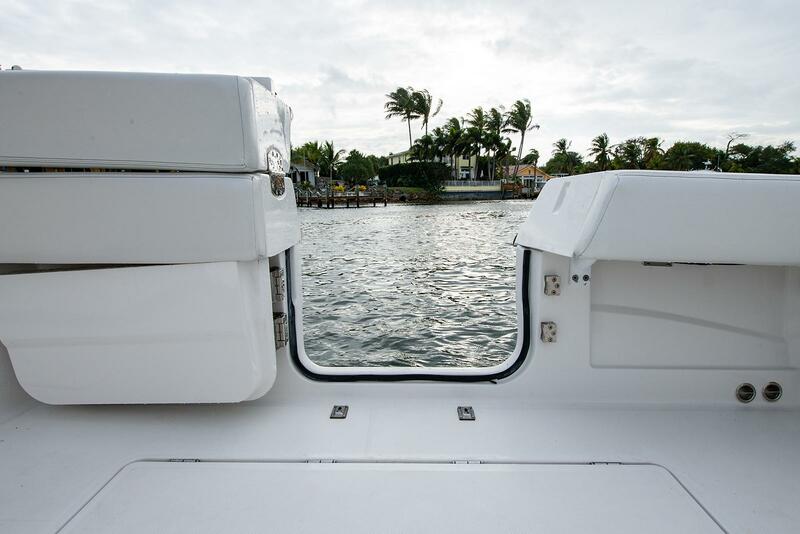 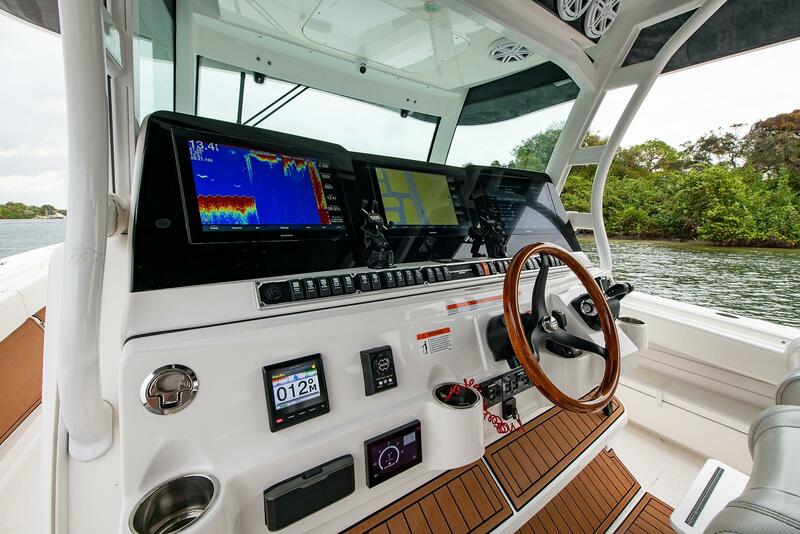 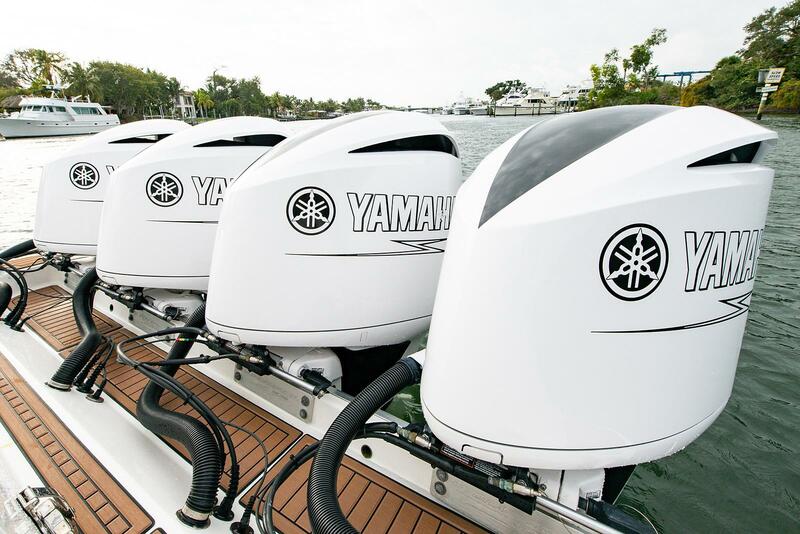 At the helm, suspension seat pedestals provide a smoother, more comfortable ride. 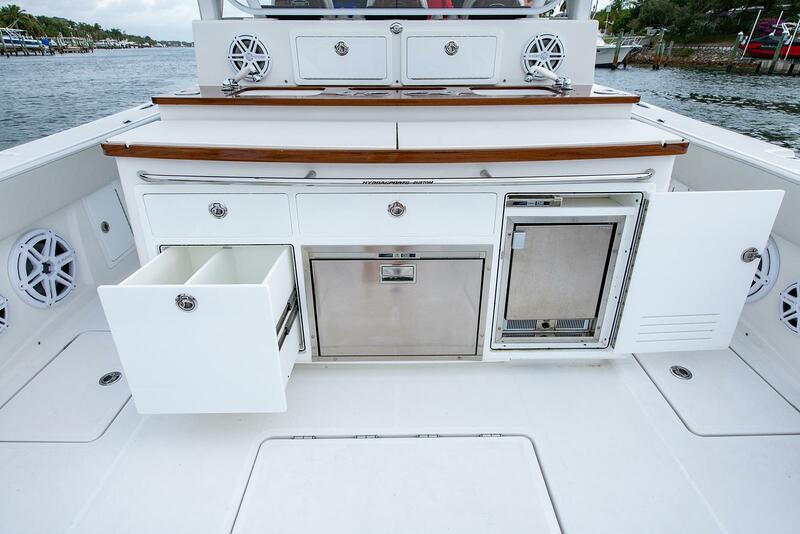 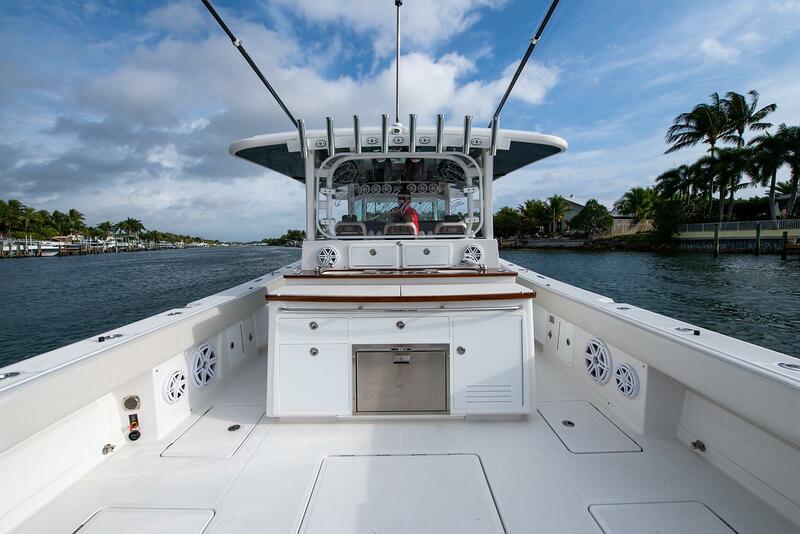 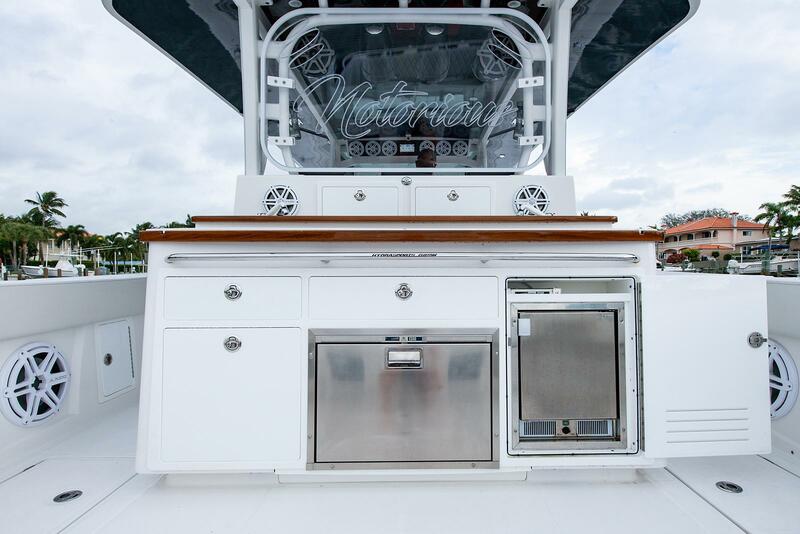 Fish boxes, coolers and freezer are custom built-in components made by Frigid Rigid. 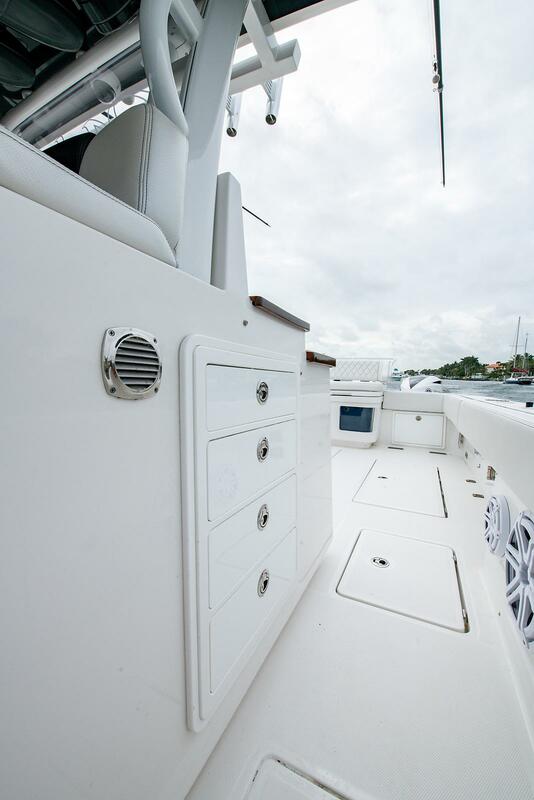 A rocking sound system is standard. 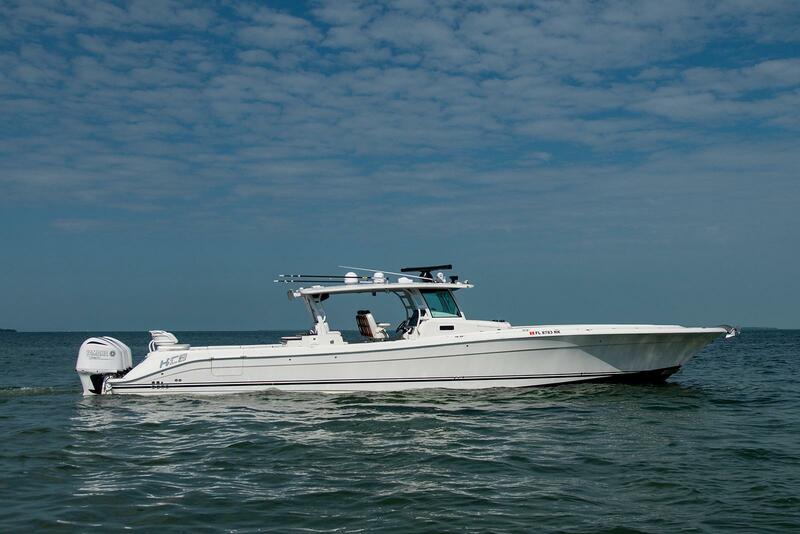 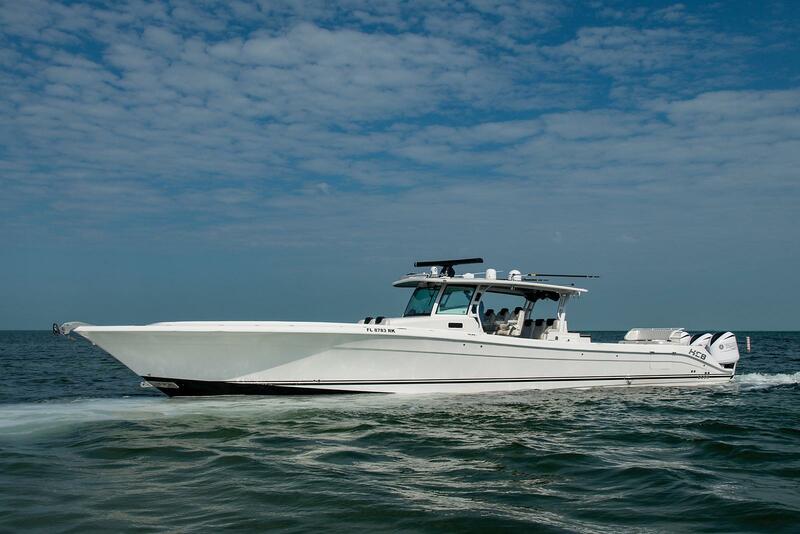 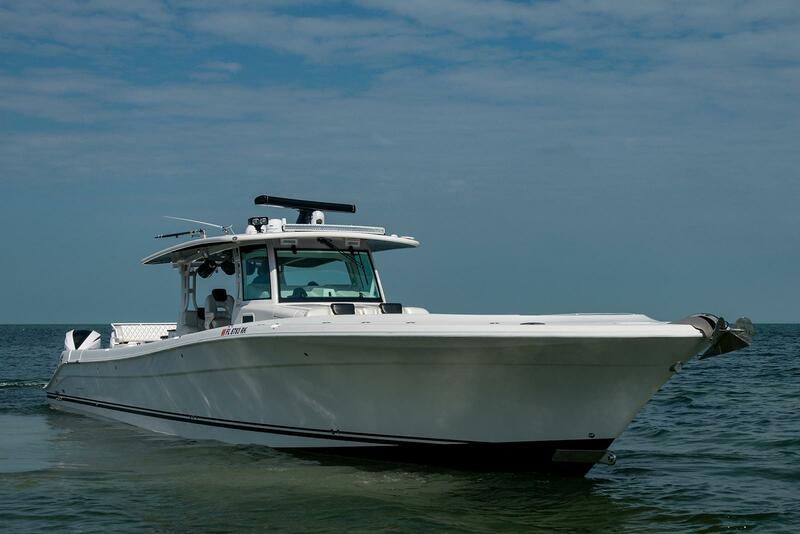 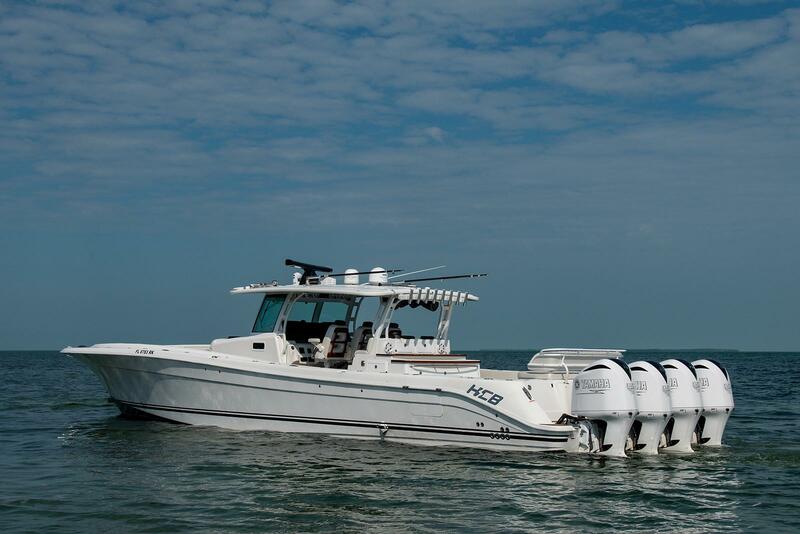 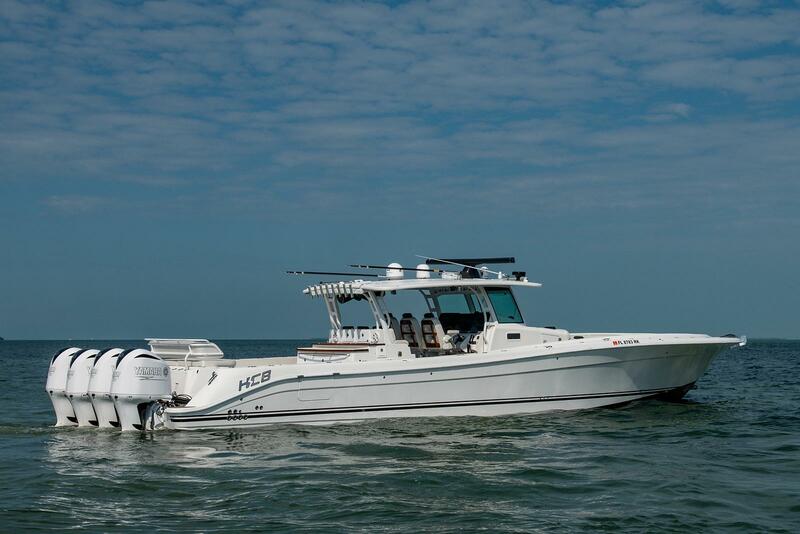 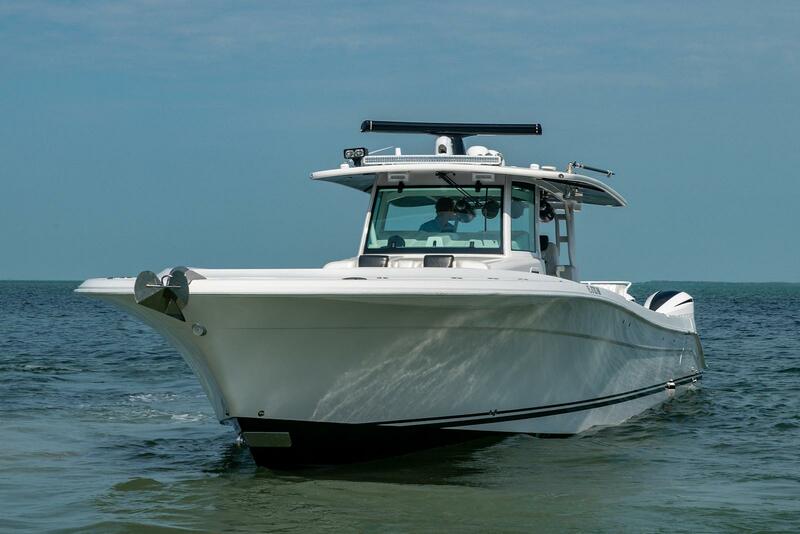 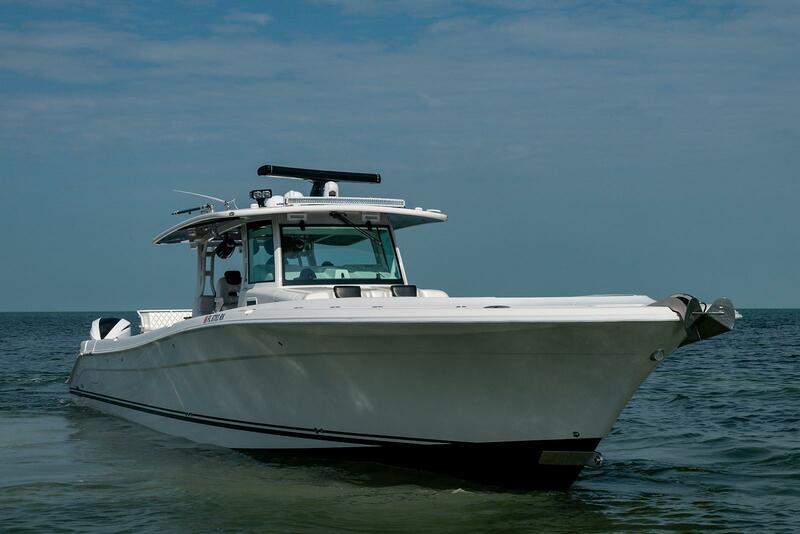 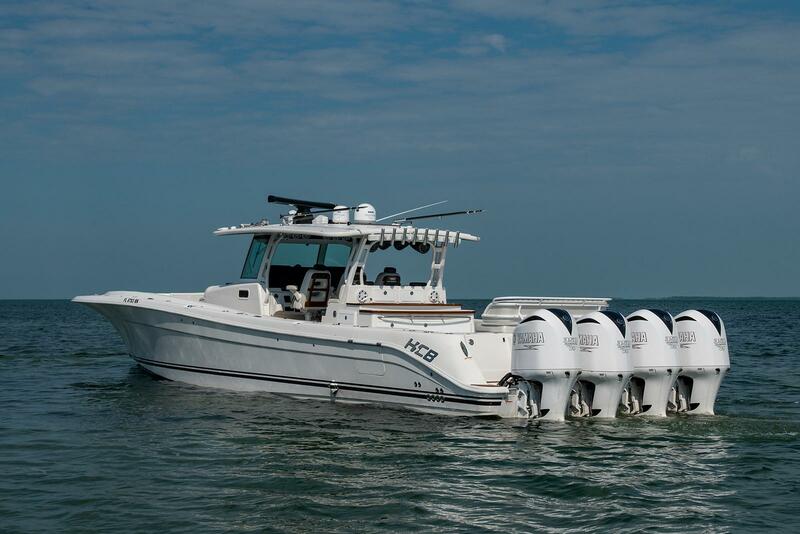 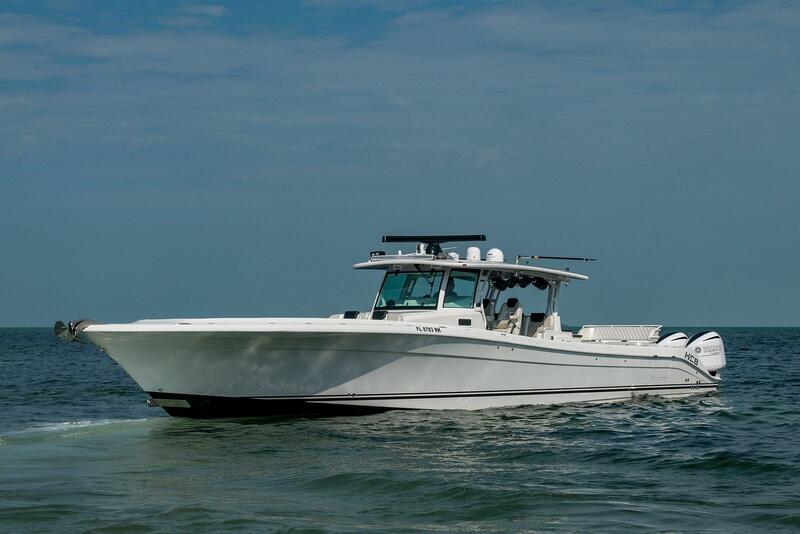 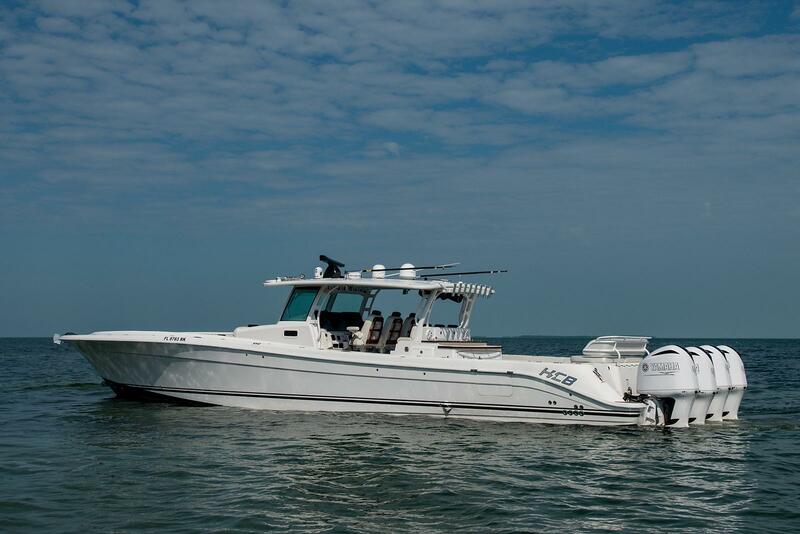 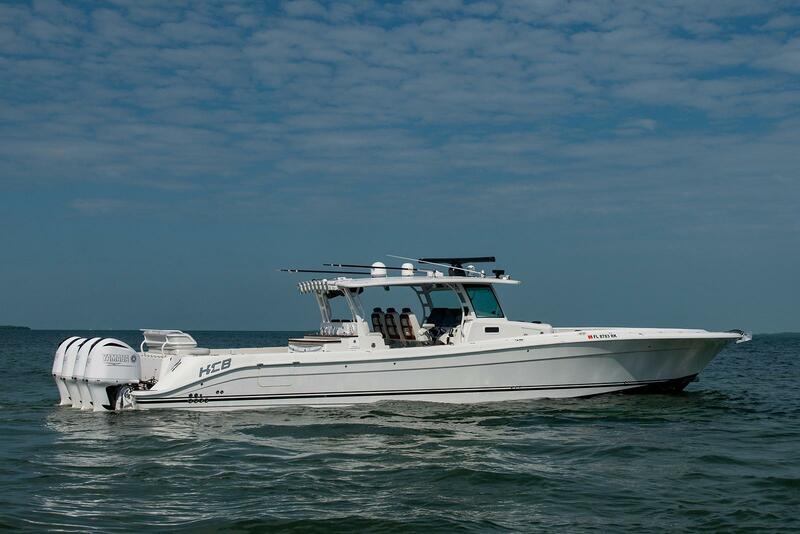 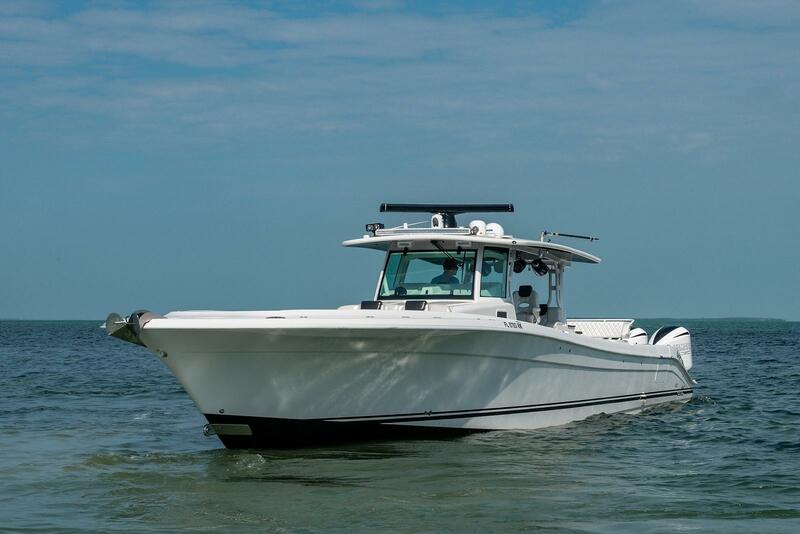 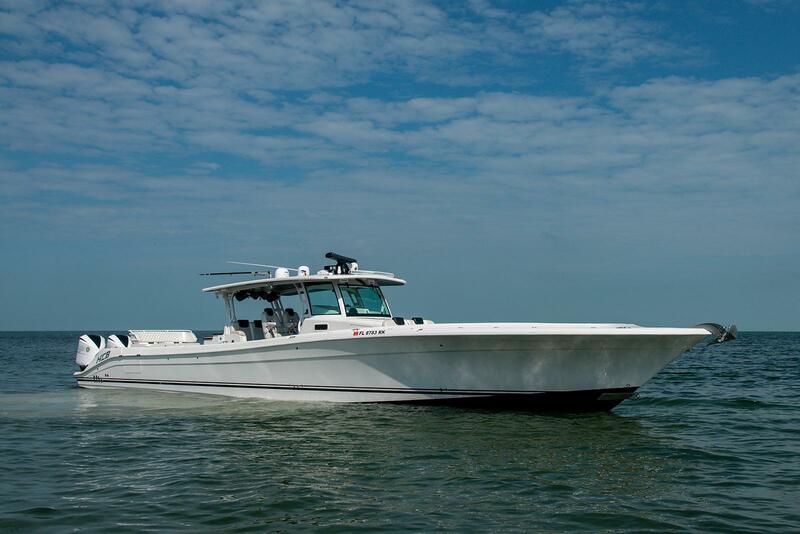 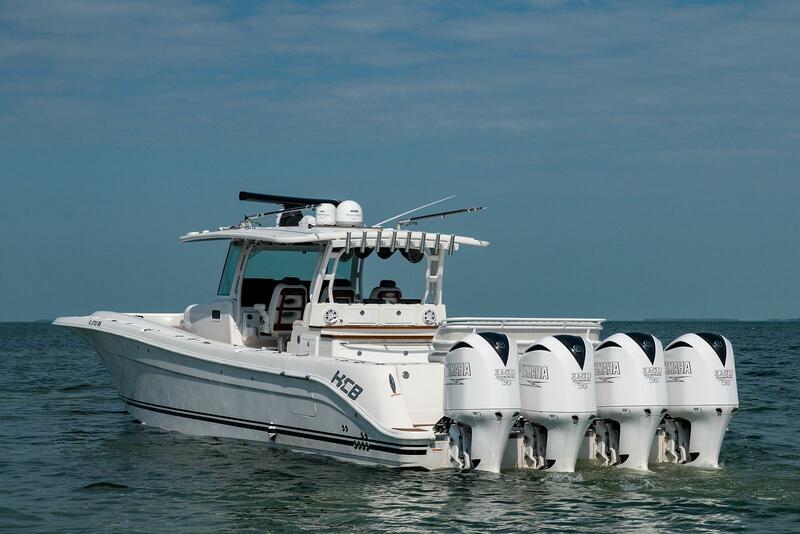 Able to run at high speeds in any conditions, the HCB53 is specifically designed to be the most comfortable, angling correct boat ever built.